People often imagine and feel that immigration is a time-taking, herculean and messing process that prolongs throughout the day and night with lots of red tape involve in it. However, though an individual can’t refuse that immigration is full of complications and procedures, when the preferred destination is Australia, then it is acceptable to take this pain. Down Under is not just fine in terms of flora and fauna, but also a superb destination to make individuals dreams alive. One can get rewarding employment opportunities, finest living standards, as well as dynamic government that alleviate’s issues and assist individuals in leading a quality life. The land of kangaroos is calling you, be ready to reciprocate the call by migrating to Australia. Whatever may be the reason! If a person has to migrate Australia, must have a valid immigration visa, which allows the person to settle as permanent residents or future citizens of the country. Many of the citizens choose to migrate Australia from their natives because of the culture of the country, a variety of attractions, family re-unification, economic growth or simply if they want a change in their location. After attaining a valid visa, everyone has to go through the immigration clearance process where the authorities of the Australian Customs and Border Protection Services will check your travel documents. 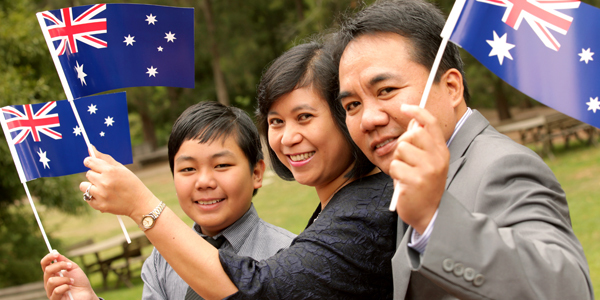 They look after the Australian immigration process on behalf of the immigrant. Immigrants whose travel documents do not meet the requirements of the clearance are not allowed to enter the country. There is a further classification about how a citizen becomes a legal or an illegal immigrant of another country. A legal immigrant enters the country with a proper visa, clearance and then settles in the country. Immigration status can be obtained in different ways, such as, employment, citizenship with the help of direct family members, seeking refuge. Why numerous individuals tend to move to other nations, leaving behind their home-affinity, memories, people, and emotions? Mainly, the reason behind such movement is in seek of a better standard of life, opportunistic environment and myriad job opportunities. There are a number of people who prefer immigration to make their life steady. So, if you are one amongst them, then you would encounter a lot of reasons that motivate the immigration. Australia is one of the largest islands in the world. The country has a stable government with safe and good economic growth. The minimum wage in Australia is $16.88. One can experience the wild life and interesting species of birds in Australia. The country possesses the rich quality of education, sustainability, camping, sports, beaches, diversity with a lot of fun people around. The country has set its tune to receive numerous individuals as immigrants from all over the globe. Even the government of Australia, has geared up to open its doors for overseas skilled immigrants to migrate and work over there, in order to address, available skill shortages in the country. Each visa stream has different types of Australia work visas. Based on the individual’s field of work and their plan of staying in Australia they need to choose an appropriate Australian work visa. Dreams are on the edge of turning up itself into reality, as Oz is all set to open its doors for the new group of people to its land and assist the economy in its growth. In 2015, Australian has agreed towards issuing Permanent resident visa to individuals who are looking forward to settling in nation permanently. So, the probabilities of making Australia as the permanent abode have increased a lot for an immigrant. Individuals who satisfied the above said requirements can apply for an Australia PR visa right away!